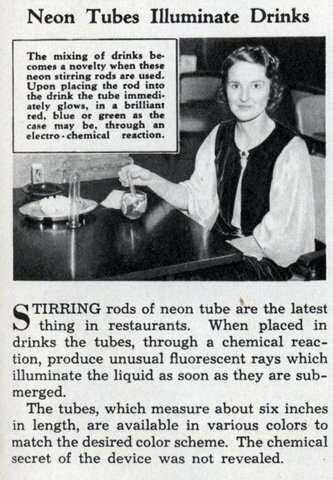 STIRRING rods of neon tube are the latest thing in restaurants. When placed in drinks the tubes, through a chemical reaction, produce unusual fluorescent rays which illuminate the liquid as soon as they are submerged. The tubes, which measure about six inches in length, are available in various colors to match the desired color scheme. 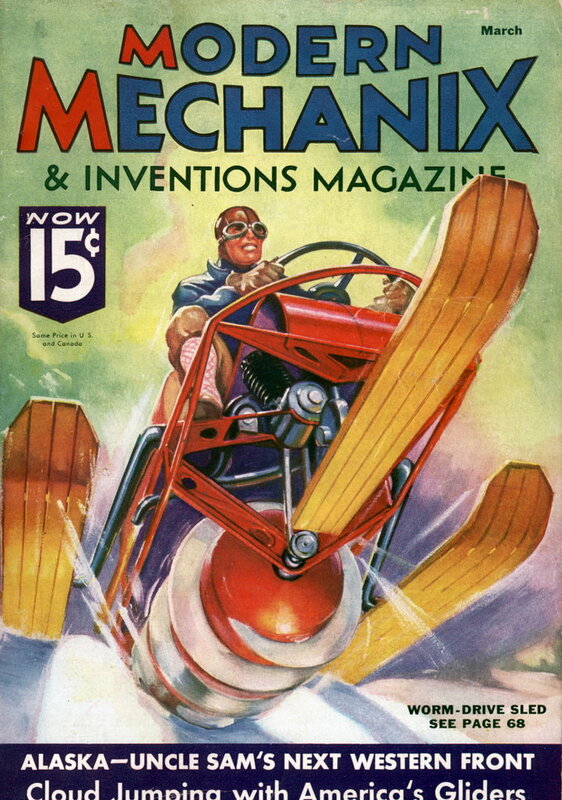 The chemical secret of the device was not revealed.